The Humboldt-Institut offers intensive German language courses for adults in Berlin-Mitte and Constance. 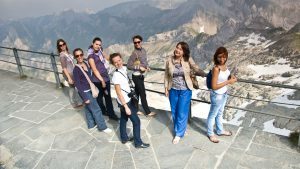 The German courses of the Humboldt-Institut are offered for all language levels from A1 to C2. The intensive German courses comprise 30 lessons of 45 minutes per week taught from Monday to Friday. The effective instruction covers all areas of language acquisition (reading, listening, speaking, writing and grammar). We attach importance to small classes with approximately 10 students taught by experienced teachers. This way students can improve their level of German quickly. Students in one-to-one courses can choose between 25, 30 or 40 lessons of 45 minutes per week. The course contents will be customized to the needs of each course participant and may comprise both general as well as specific topics such as Business German, for example. At the Humboldt-Institut in Berlin, German courses are also offered as part-time courses. Evening classes comprise 6 lessons per week on Tuesday and Thursday. The German courses on Saturday comprise 4 lessons each weekend. Part-time courses are especially suited for students who wish to learn German while working full-time. The following table gives you an overview of the course duration for each language level. The duration is based on an intensive course with 30 lessons per week. You may use our free online test to check your level of German. Our residential language schools in Berlin and Constance provide accommodation in modern and comfortable twin and single rooms with en-suite bathrooms. In Berlin few triple rooms are available as well as accommodation with host families. All intensive courses can be booked including accommodation, full board, daily leisure program and weekly excursions. All courses are bookable without accommodation as well. On this page you will find a list of all German courses with dates and fees. Please choose the German course which best suits your needs. Our intensive German courses for adults comprise 30 lessons of 45 minutes per week. The courses can be booked for a duration of two weeks or longer. For long term courses with a duration of 10 weeks or longer we offer a reduced course fee. Please choose the course which best suits your needs. 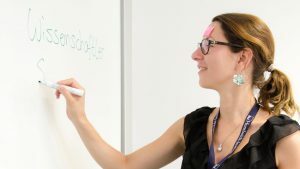 One-to-one intensive courses are offered with 25, 30 or 40 lessons of 45 minutes per week and can be booked for a duration of one week or longer. You live in Berlin and want to learn or improve your German, but lack the time for an intensive course? Then our part-time courses in small classes with approximately 10 students are ideal for you! They comprise between four and ten lessons of 45 minutes per week and take place in the evenings or on Saturdays. During summer (June 23 – August 17, 2019) and over Christmas (December 22, 2019 – January 11, 2020) part-time courses are paused. In part-time courses no lessons are held on all Berlin bank holidays. Part-time courses can be booked for a duration of six weeks or longer. Students with previous knowledge of German may be offered weekly starting dates upon registration. “Made in Germany” is a synonym for quality all over the world. 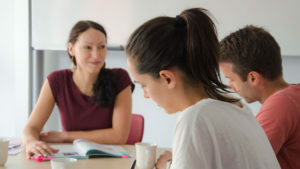 A degree from a German university gives foreign students a clear edge over their competitors in the international job market. Compared to other countries Germany offers top quality and ideal research opportunities, and studying there is relatively inexpensive. Invest in your future today: We at the Humboldt-Institut advise and assist the students of our German courses who wish to pursue higher education in Germany. According to your foreign educational qualifications and certificates, we check if you will be granted direct or indirect admission to a German institution of higher education. Indirect admission means that you will have to take a two-semester foundation course (Studienkolleg) and pass an assessment test before you can apply at a university. Before you can begin your studies at a German university, you have to prove that your German language skills are sufficient. For applications at the Studienkolleg an intermediate level – usually a completed B1 or B2 level – is required. If you are granted direct admission a C1 level is necessary and your proficiency has to be confirmed by a successfully passed TestDaF (4×4) or telc C1 Hochschule exam. If you are eligible for direct or indirect university admission depends on your foreign educational qualifications and certificates. If you have questions regarding university admission and the required level of German, please send a message to info@humboldt-institut.org. In our course centers in Berlin-Mitte and Constance, we help prospective students in a very short time to reach the required German level B1 / B2 (Studienkolleg) and C1 (University). By staying in our residences you live directly on campus in an international yet German-speaking environment and can focus completely on your German language course. Accommodations, full board and an activity program (except for entrance fees) are already included in the course fee. Consultation and support in the application for higher education in Germany are offered for an additional fee. 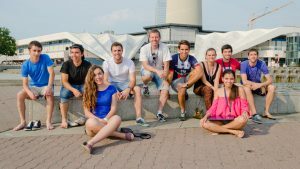 Many international students have successfully been prepared at the Humboldt-Institut for direct or indirect admission to the following universities and institutions of higher education: Charité Berlin, Technical University Dresden, Goethe University Frankfurt, University of Marburg, LMU Munich, TU Munich and many more. We can be reached Monday through Friday from 8:00 am to 6:00 pm CET.